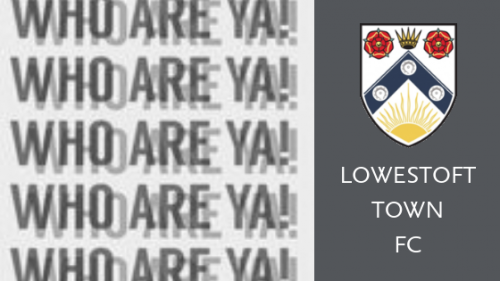 The club was established in 1887 as Lowestoft F.C as a result of a merger between East Suffolk and Kirkley. 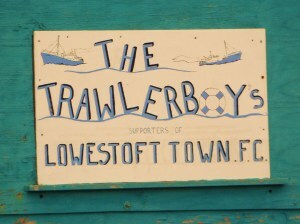 They were renamed Lowestoft Town in 1890. They are nicknamed the Trawler Boys. In 1900 they reached the final of the FA Amateur Cup, losing 5–1 to Bishop Auckland. The 1926-27 season saw the Trawler Boys reach the first round of the FA Cup for the first time, however they lost 10–1 to Watford. 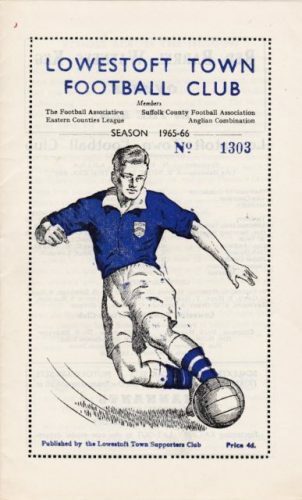 In the 1938-39 season Lowestoft Town again reached the First Round of the FA Cup although this time they lost 6–0 away to Swindon Town. The club turned semi-pro in 1962 and proceeded to dominate the Eastern Counties League during the 1960s, winning the championship in 1962–63 and finishing runners-up in 1963–64, followed by a run of four successive championships, a second place in 1968–69 and then winning two further titles in the following seasons. The late 1960’s saw Lowestoft Town reach the FA Cup First Round in both the 1966-67 and 1967-68 seasons. On both occasions they lost to League opposition in Orient (2-1, in 66-67) and Watford (1-0 in 67-68). The 1970’s were considerably more barren than the previous success laden decade. 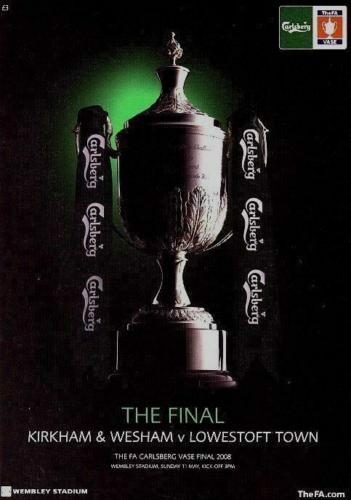 They did win the League Cup in 1976, and a league and cup double in 1977–78. The 1977-78 season also saw the Trawler Boys appear in the FA Cup First Round again – this time losing 2–0 at home to Cambridge United. 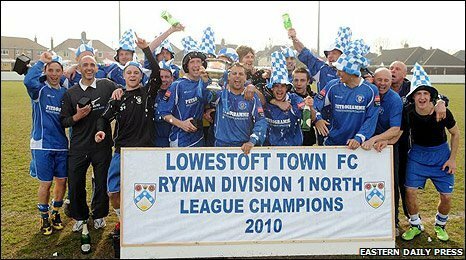 In 2008 Lowestoft Town reached the FA Vase Final where they lost 2–1 to Kirkham & Wesham at Wembley Stadium. The following season 2008-9 they were promoted to the Ryman League Div 1 North and subsequently they were promoted to the Ryman Premier Division at the first attempt in 2009-10. 2009-10 also witnessed the Trawler Boys reaching the First Round of the FA Cup once again but a deflected goal at Wrexham put paid to their hopes of progressing to the Second Round for the first time ever. A play off final victory over AFC Hornchurch at the end of the 2013-14 season saw Lowestoft Town promoted to the Football Conference North. After 2 years in what is now known as National League North the club were relegated on goal difference at the end of the 2015–16 season.